Turkish President and US President discuss creation of "security zone" in north Syria. Turkish President Recep Tayyip Erdogan and US President Donald Trump on Monday discussed the creation of a "security zone" in north Syria as tensions rose over the fate of Kurdish fighters in that country, AFP reports. In a telephone conversation, the leaders "discussed the idea of creating a security zone cleared of terrorism in the north of the country," the Turkish presidency said in a statement. 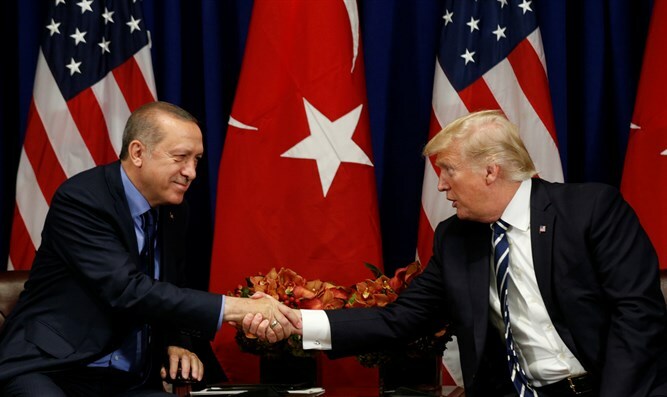 The conversation between Trump and Erdogan came one day after Trump threatened to “devastate Turkey economically” if it harms the Kurds after the US withdraws its troops from Syria. On Saturday, Secretary of State Mike Pompeo said he was "optimistic" that a way could be found to protect Syrian Kurds while allowing Turks to "defend their country from terrorists" following the US pullout from Syria.